Cleaning out storm debris from some of Bladen County’s waterways is helping to improve water flows. Bladen County Soil and Water Director Dean Morris said that contractors are making progress in the removal of storm debris from the waterways in areas such as Cypress Creek, Black River, Brown’s Creek and the Bryant Swamp Drainage District as well as Big Swamp. “In Bryant Swamp, we actually just completed the county’s portion,” said Morris. 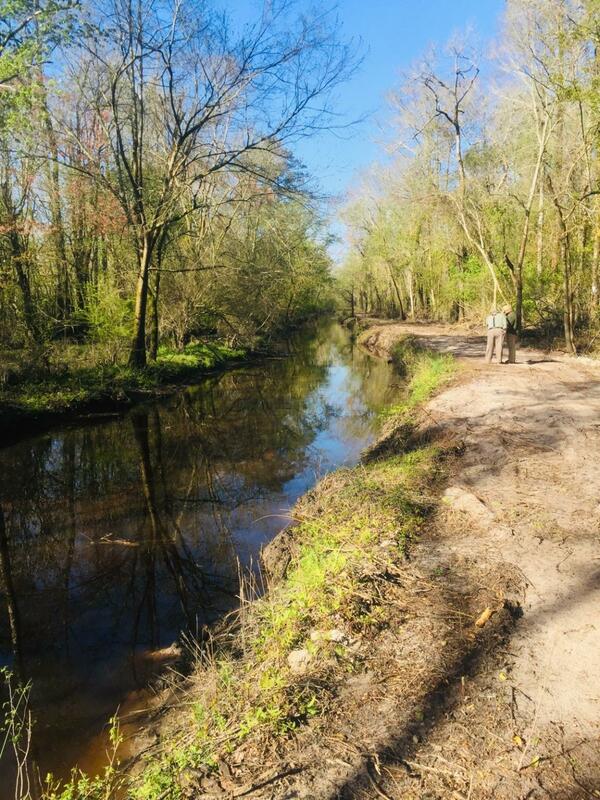 The contractor, D. G. Jackson, started at an area 3,500 feet above Richardson Road and cleaned the waterway of storm debris through the Bryant Swamp. Morris said the contractor also cleared the maintenance right-of-ways for the Bryant Swamp Drainage District as well. The town of Bladenboro is preparing to send out a bid request for work for the clean out of the Bryant Swamp Drainage District which is contained within the city limits. Proctor said the deadline for bid packages to be submitted to the town of Bladenboro is May 1 and the bid opening is scheduled for May 2. 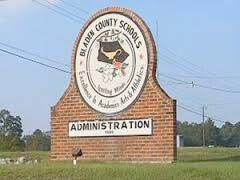 The Bladenboro Town Board will award the bid at their May 18th meeting. Town Administrator Blake Proctor said that anyone interested in bidding on the project can contact the Bladenboro Town Hall at 910-863-3655 for a set of bid specifications and maps. Proctor said that one section of the project, Wateree Creek, had to be removed from the bid process as it is being funded separately through USDA and has a different timeline in place. Morris stated contractors have also been working in Big Swamp since May 2018, but they have been stymied by periods of high water and flooding. That work is almost complete. Morris said he would like to see Big Swamp cleaned all the way to Tar Heel. “We’re waiting on the water to recede,” said Morris of that project. He said as the water recedes, the contractor will return to the area and, if necessary, remove more debris. Morris said contractors are also working on the lower portion of the Black River, but they too have been challenged by high water. “They will be able to do a lot more when the water recedes,” said Morris. In the East Arcadia community, Morris said the contractors have completed work in that area but there have been requests made for more work to be done. Morris said work is getting underway at Carvers Creek and, along the South River, high water has once again prevented contractors from working. Morris said Halls Tree Service is working at Harrison Creek. The creek is now clear from the Cumberland County to the vicinity of Cain’s Grill. The contractor will continue to work to remove storm debris along Harrison’s Creek to the Cape Fear River. Work on storm debris removal from Brown’s Creek in Elizabethtown has also been completed. Morris said grant funds have helped to pay for all of the work that has been done and future work that has not yet been started. Morris said he has submitted another grant application for more funding to enable the county to remove debris from more of the county’s waterways. He is now waiting to learn if the grant application will be approved.